Growing carrots in containers is easy, and you can get a decent harvest of this sweet and crispy vegetable even if you don’t have a garden! 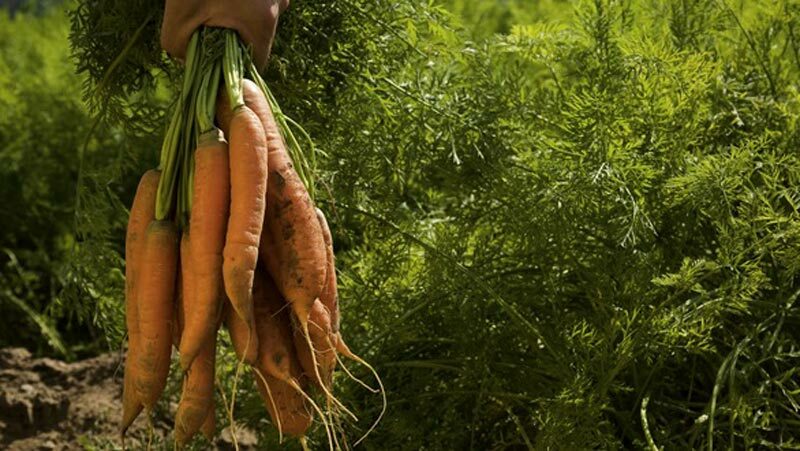 Carrots are a cool weather crop and can be grown in USDA Zones 4 – 11; you can start sowing seeds 2 – 3 weeks before the last frost date and continue doing this throughout the growing season until about 8 weeks before the scheduled average first frost date. If you live in a hot climate (USDA Zones 9b – 11), wait until the weather cools down and grow carrots after the summer in fall (autumn) and winter. 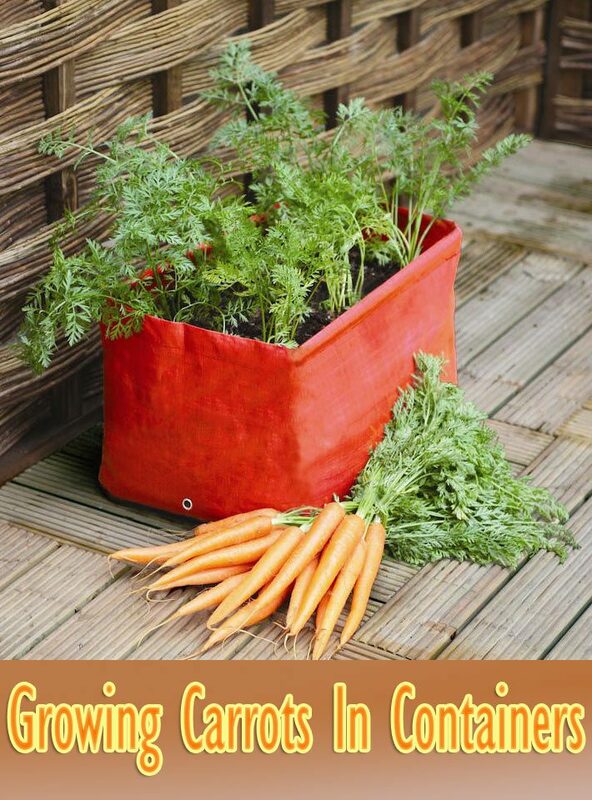 Sow carrot seeds every 2 – 3 weeks successively for a regular harvest all growing season. Container size (6 – 15 inches deep) may vary according to the carrot type you’re growing and planting depth it requires. For growing carrots in containers, a pot that is at least 12 inches deep and as wide as possible can be used to grow most of the carrot varieties. You can use pots, tubs, planter bags, window boxes to grow this root vegetable. Imperator: Imperator carrots are sweetest, 8 – 12 inches long and slender. To grow, you’ll need a container that is more than 12 inches deep. Danvers: More intense in taste, 6 – 7 inches long, slender, but wider at the top than the Imperator types. Nantes: Sweet and crispy, 6 – 7 inches long, more cylindrical than tapered. Good for containers. Chantenay: Up to 5 inches, wide at the top and narrowing, cone-shaped, can be grown in poor soils. Once you’ve selected the carrot type you’re growing, gather the desired pots and fill them up with potting soil. Sow seeds 1/2 to 1/4 inches deep. After germination thin carrot seedlings (when they’re 2 inches tall) to about 2 – 3 inches apart. For thinning, instead of uprooting the baby plants, cut them using scissors so as not to disturb the roots of other plants. Choose a location that is sunny, however, in late summer or warm climates; you can keep your carrot plants in partial sun. In cooler regions growing carrots in less sunny position results in slow growth. Carrots prefer well-drained, light and aerated soil that doesn’t obstruct the root growth. 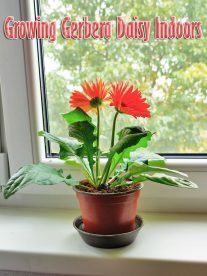 You can either buy a quality potting soil for containers or make your own. Make sure the prepared soil is more sandy than clayey and have no stones or else your carrots will be crooked and bent. The soil should be slightly acidic to slightly alkaline, pH range from 5.5 – 7.5. Ideally, 6 – 6.8. Prepare your own potting mix by adding 1 part soil, 1 part compost or well-rotted manure, and 1 part perlite. If you want to make a soilless mix, add 1 part peat moss or coco peat, 1 part compost or well-rotted manure, and 1 part perlite, vermiculite or sand. You can also add time-based fertilizer that is low in nitrogen at the time of mixing the soil. One of the essential things to remember when learning how to grow carrots in pots is to maintain adequate water level constantly. Water regularly and evenly to keep the soil slightly moist. Check the soil moisture level with your finger to see if the medium is drying before watering and never allow the soil to dry out completely. However, refrain from overwatering and waterlogging the pots. In the end, when your carrot roots are about to mature (after the 3/4 of their mature size), reduce the frequency of watering as too much moisture at maturing stage leads to growth crack in carrots. The seed germination temperature for growing carrots is between 42 – 90 F (5.5 – 32 C) but the optimum seed germination temperature is between 55 – 75 F (12 – 24 C). Carrot seeds usually germinate in the time-frame of 1-3 weeks, slower in low temperatures. Best tasting carrot roots are grown when the temperature ranges around 60 – 72 F (15 – 22 C) during the growing period. As you’re growing carrots in pots, you can try to adjust the temperature a bit by moving the containers to shade if the weather is warm and in more sun if the weather is cold. Maintain the space of 2 – 3 inches between each carrot plant and thin out the seedlings when they are 2 inches tall. As carrots are root crop, they don’t prefer soil that is high in nitrogen. To encourage root growth, use a fertilizer that is low in nitrogen but high in phosphorous and potassium. For example, a formula of NPK 5-10-10. 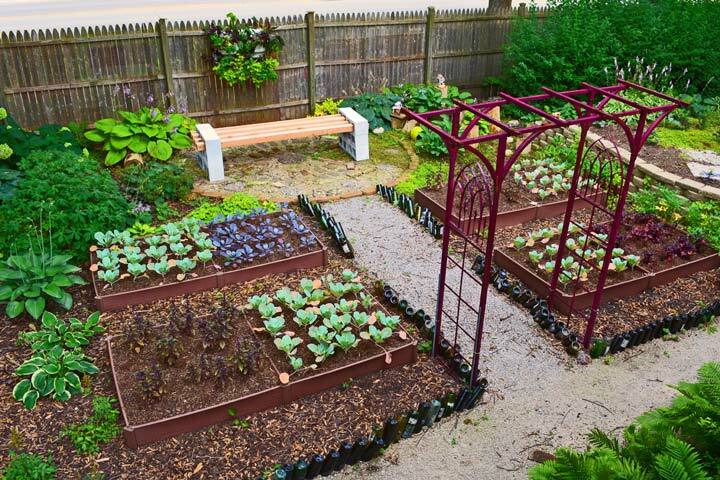 It’s a good idea to add time-based fertilizer or aged manure to the potting soil in the beginning. 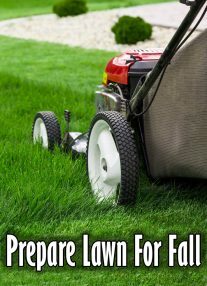 Also, during the midseason, scrape some top soil and side dress with compost or aged manure. If you’ve not added anything to the soil, feed the carrots with liquid fertilizer biweekly according to the product’s instructions. You can also make your own organic liquid fertilizer from compost or manure, which is also called as “Compost Tea. Weeds, pests, and diseases impede the growth of carrots on the ground. However, in containers, you don’t need to worry about them as much. Aphids and flea beetles can disturb the foliage growth but can easily be controlled. Harvesting time may vary, from 50 – 100 days. Depending on the carrot type, climate and growing conditions. Most of the varieties are ready for harvest in 60 – 75 days, whereas, you can harvest baby carrots much earlier. 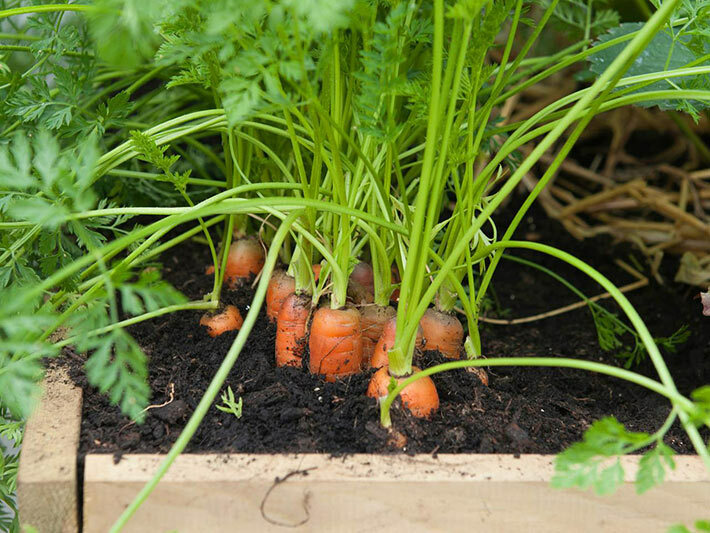 Before picking, see whether your carrots have reached the desired size or not by uprooting a couple of plants.